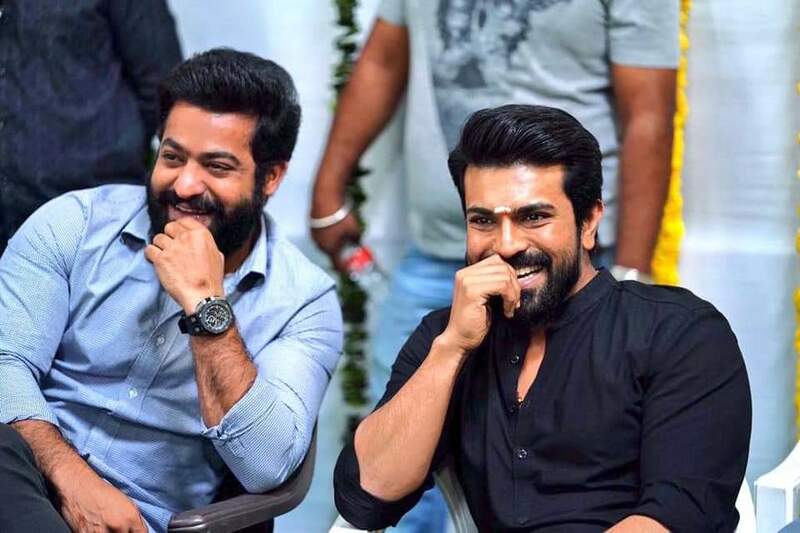 #RRR - Ram Charan, Ramarao and Rajamouli. 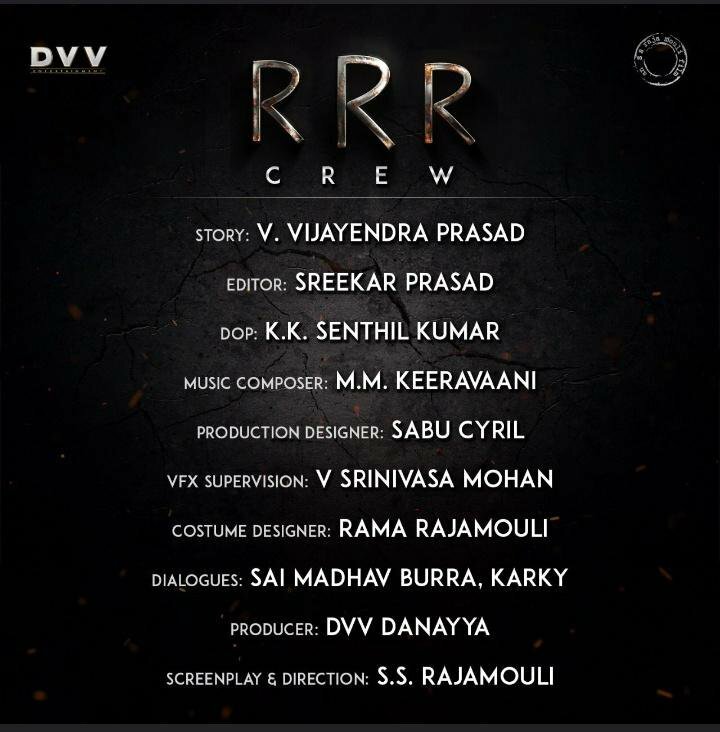 The Blockbuster combination of Tollywood which is clubbing the Mega Star and Nandamuri fans together with this film which is mad epossible by the India's greatest director SS Rajamouli. Till now there is now clue about the genre of the film, but today the movie makers has released the crew details of the film through a poster which shows that the team is exact replica of Baahubali except the producers which was replaced by DVV Danayya this time.